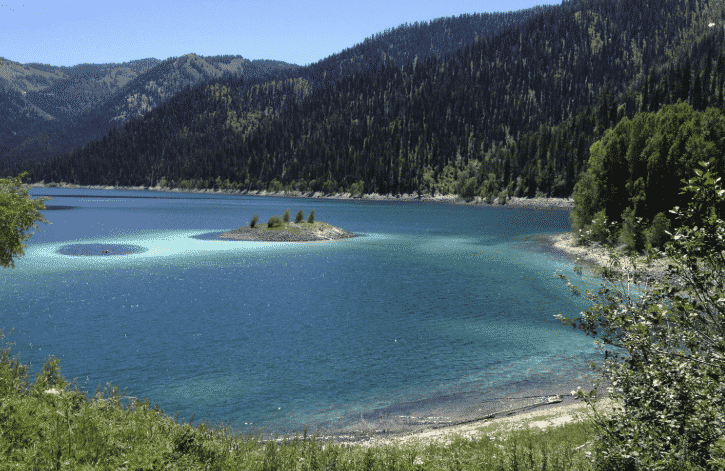 Home » Most Stunning And Challenging Idaho Hiking Trails Revealed! There is no need to be offended if you are told to take a hike while in Idaho. There are many opportunities to go hiking in Idaho with more than 19,000 miles of trails available across the state. One constant across these trials is that they all allow you to get up personal and close with the beautiful state’s scenic landscape while exploring its hidden nooks and crannies. In this article, we’ll discuss a few hikes of varying terrain and difficulty that you may want to tackle when next you feel like going on an outdoor adventure. 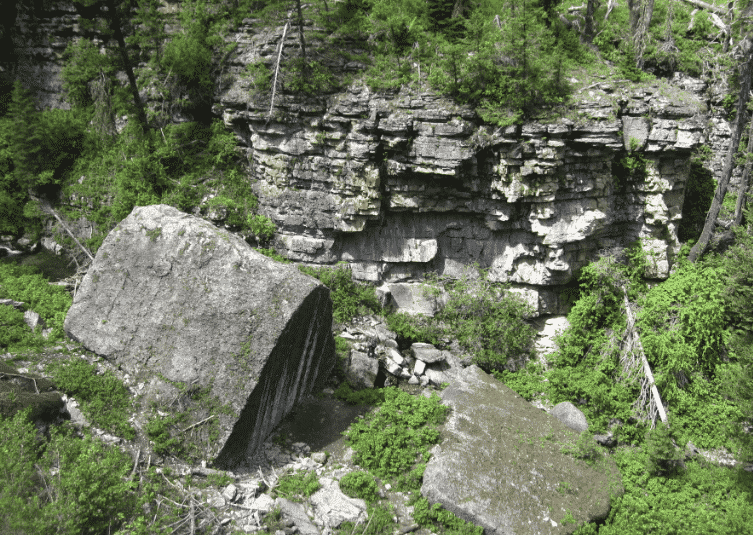 Darby Wind Cave and Darby Canyon in Eastern Idaho are stunning examples of Idaho Hiking and both have sunning views and can be accessed from the Teton Valley. After crossing the footbridge, you’ll quickly climb through colorful wildflowers and the lavish trees of the Jedediah Smith Wilderness. Keep right at the fork. The climb to the cave is slippery and is not recommended for beginners. The scenery is however spectacular without the dangerous climb. Note that the combination of ice cave crevices and sheer cliffs can create dangerous weather unexpectedly, so you might have to turn back if the weather changes for the worse. Use Highway 33 in a southerly direction from Driggs. Turn onto 3000 South 3 miles south of Driggs and after 3 more miles, turn right at the T-junction. The route to the South Darby trailhead is clearly signposted from there. Stanley is a cozy little town nestled on the banks of the Salmon River. 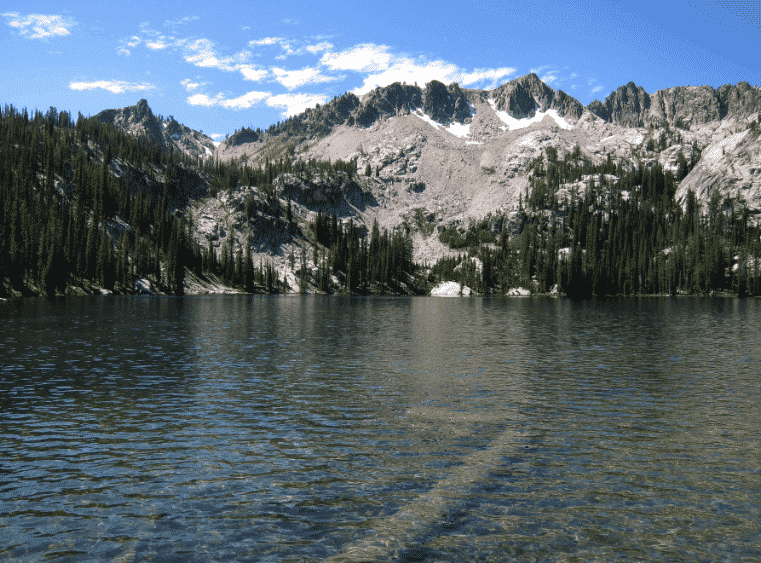 It has many outdoorsman and adventure opportunities available and the ten mile hike takes you to two of the pristine alpine lakes of Sawtooth. Starting in an evergreen forest of Highway 21 at the Iron Creek trailhead, you’ll cross an open meadow followed by a creek into an alpine basin. The trail then climbs and meanders through various switchbacks before ultimately opening up to a spectacular view of Mt.Regan. The trail offers impressive views of the valley and mountains. 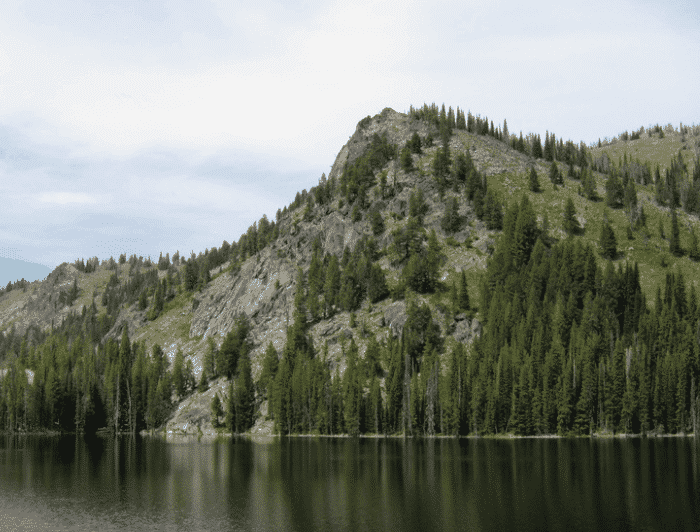 The upper Palisades Lake is not used as often as the lower lake trail and is slightly longer than 15 miles. This Idaho Hiking Trail has lots of shade, runs though moose haven and has a variety of terrain to enjoy. The trailhead can be reached from Swan Valley by following the US 26 east for 7 miles, and then travel northwest on Forest Road 255 for two miles. 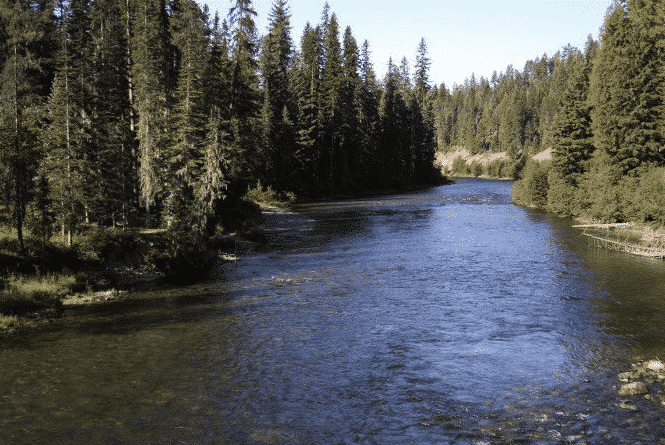 There are many trails for all different skill levels in the scenic Priest River area. #308 runs parallel to the river and is a very scenic 16-mile trek. There is plenty of shade provided by the forest canopy with only occasional breaks where the sun peeks though. Meandering streams running next to the trail add a level of tranquility to the hike. Carrying on to the Continental Trail will eventually lead you to American Falls. To reach the trailhead, follow Highway 57 from Nordman to the Granite Pass junction, and then travel along road #1013 for about 11 miles before reaching your destination on the left. Hyndman Peak is a massive mountain shaped like a pyramid. 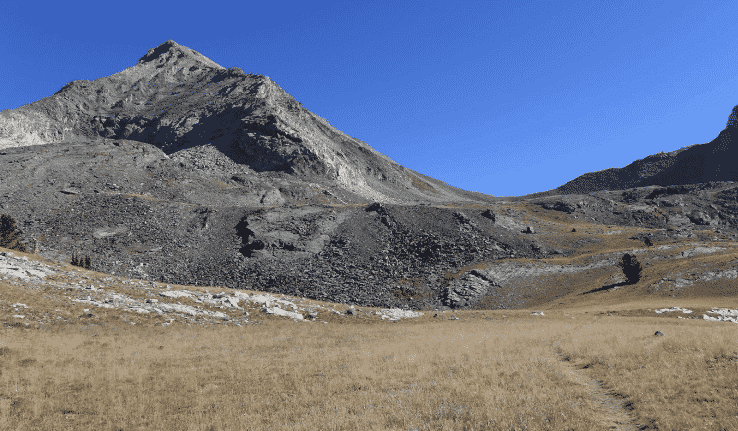 Although it is easy to climb, it is the 9th tallest peak in Idaho, with a 12-mile long ascent. The climb is however rewarded with stunning views. To get to the peak, follow Highway 75 south for 5 miles from Ketchum and turn onto East Fork Road. Drive east for another 6 miles before turning hard left at the North Fork of Hyndman Creek sign. Follow this route for another 3 miles, crossing Hyndman Creek, and continuing another 1.25 miles on the dirt road up to the gate and road closure sign. 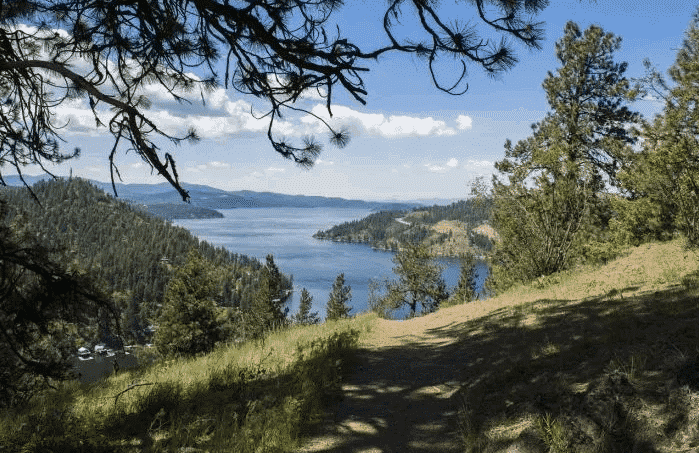 This 2-mile trail is well-maintained and offers amazing views of Lake Coeur d’Alene. The challenge makes the hike worthwhile with enough switchbacks and cliff views. From Coeur d’Alene, follow the US-90 east for 8 miles to exit 22 (Wolf Lodge Bay), following Highway 97 south for 3 miles. The gray cliffs of the Jughandle Mountains overlook the gorgeous deep-blue Louie Lake with its 2 small granite islands. This hike is a moderate 10-miles with expansive views of Long Valley. Turn east onto Elo Road around 2 miles south of McCall. This turns into Farm-to-Market Road, eventually becoming Brundage Lake Road. The trailhead can be found at 7.5 miles. This is a challenging semi loop of 29-miles long that goes past Devils Basin, waterfalls, and the open vistas of the Lost River Range, ending at Yellow Lake. Follow Highway 93 north from Challis for 17 miles before turning right onto an unsigned road. Turn left onto Big Creek Road after 30.5 miles, reaching the trailhead in another 3.5 miles. The Owyhees are less popular than its Northern Idaho counterparts, but the surreal, uninhabited landscape offer its own unique brand of beauty. 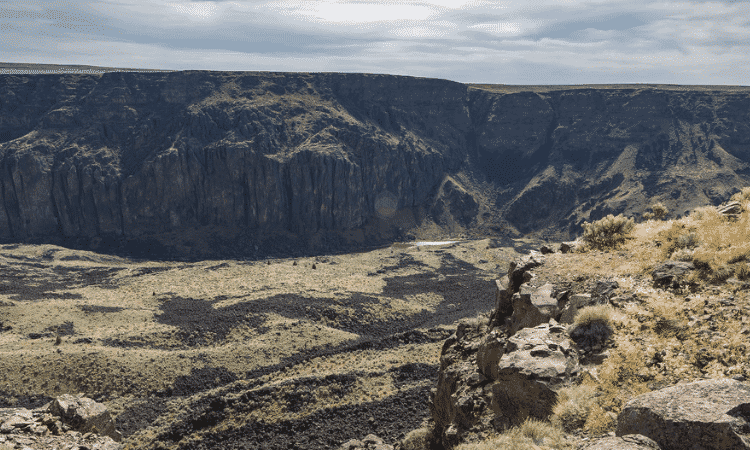 The Owyhee Meanders is an amazing hike, especially in late spring that offers expanses of colorful desert wildflowers. The 500-foot canyon twists and turns into the Tules, a marshy area. Drive 93 miles south from Mountain Home on Highway 51 to an unmarked junction 0.7 miles on the Nevada border. Follow the paved road for 6 miles after turning right, then turn left at the Owyhee River sign. The gravel road goes on for 11 miles, followed by another 9 miles before reaching the parking area.